January 2019: I've set myself a goal this year - 50 bird species, native or naturalised in New Zealand, identified and photographed by the end of 2019. I might snap a few other living specimens along the way, as well. The reasons are two-fold: I want to get to grips with my camera and using "M" mode; and I like birds and want to know more about them. Many of the birds in New Zealand are critically endangered. I hope not, but, in the words of Douglas Adams, this might be my "last chance to see". Silvereye, aka wax-eye (Zosterops lateralis), colonised New Zealand from Australia in the 1850s. Abundant and a common sight in suburban gardens. Photo: Louise Thomas. 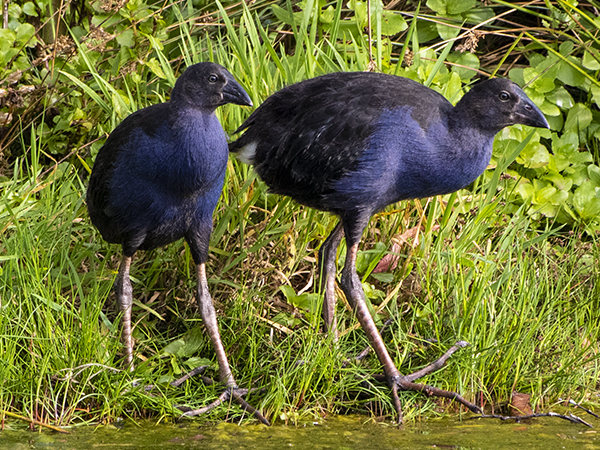 February 2018: I was absolutely stoked to capture these two juvenile Pukeko (Porphyrio melanotus) one evening as they emerged from the long grass at a wetland next to the Hutt River, Lower Hutt. Their mum was standing in the water calling them, they seemed a bit reluctant to get wet. February 2018: A little silvereye, aka wax-eye (Zosterops lateralis), flitting about in the flax. These birds colonised New Zealand from Australia in the 1850s. 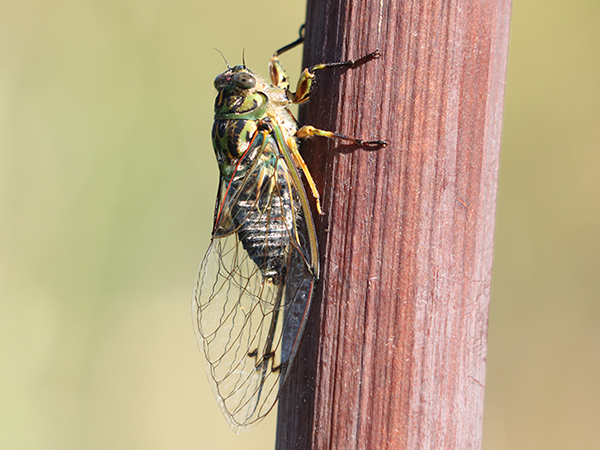 February 2018: Those in New Zealand have probably all seen 999 cicadas (Amphipsalta zelandica), as well as having several up close and personal experiences, but here's my contribution to this summer's collection. It's funny is how the insect-eating birds will often chase them on the wing, instead of just picking the smorgasbord of the fence. Probably keeping up their exercise, either that or the noise cicadas make bothers them. Would be an interesting study. 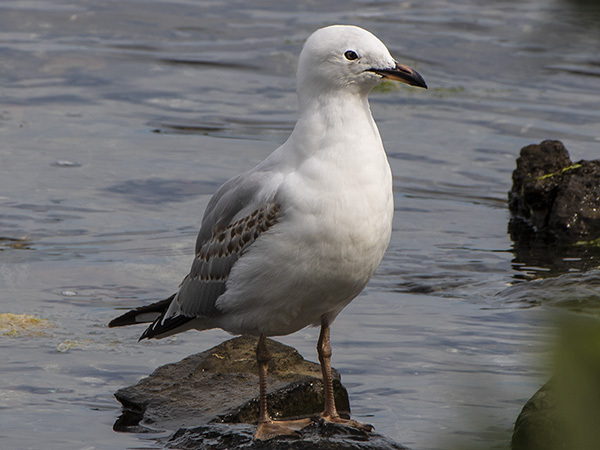 February 2018: Immature red-billed gull (Larus novaehollandiae) at the Hutt Estuary. February 2018: Either an unknown hybrid or a leucistic mallard hen (Anas platyrhynchos) at Manor Park in the Hutt Valley. Leucism is a genetic mutation that causes pigment not to be properly distributed in a bird's feathers, making them paler than usual for the species. #leucism #mallardduck #birdwatching #nzbirds. 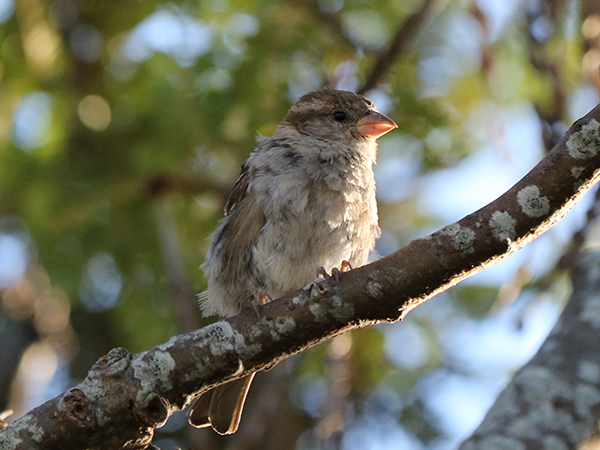 February 2018:Just a cheeky juvenile house sparrow (Passer domesticus), the most interesting thing I could see from my backdoor for the Art of Birding challenge "From my backdoor". Learning to use manual settings, the results are so much better. February 2018: Australian magpie (Gymnorhina tibicen). This one is the white-backed variety. It's fair to say, I haven't always had a good relationship with magpies, having served one with a tennis racket in self-defence when I was seven or eight - we both recovered from the trauma and he agreed not to try tearing my hair out for the rest of the breeding season. This particular chap has moved into a pine tree in Strand Park next to the Hutt River. He enjoys watching the cricket and seems quite friendly to picnickers. Doesn't seem to bother the other birds that I've observed. Saw him eat a wasp. 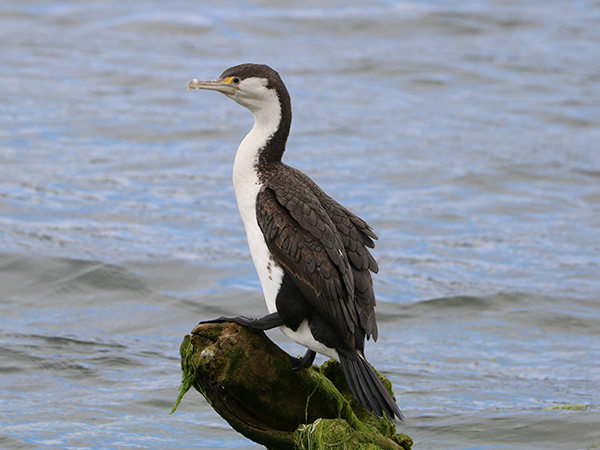 February 2018: Pied shag (Phalacrocorax varius) at the Hutt Estuary, Lower Hutt, New Zealand. So nice to see this recovering species on the regular now. They are still rare though, with a 2012 estimate of their numbers between 1000 and 5000. 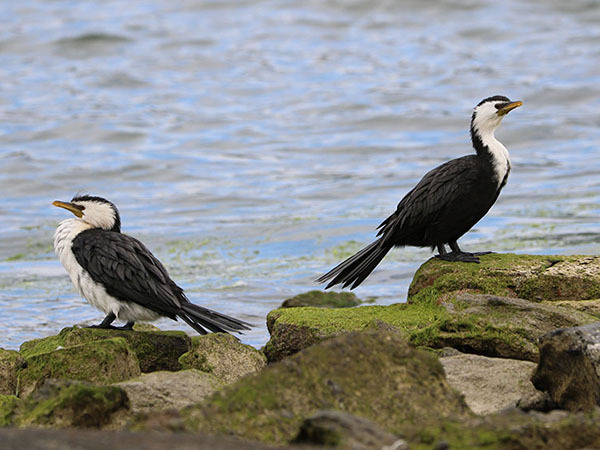 Pied shags like to forage in coastal marine waters, harbours and estuaries. 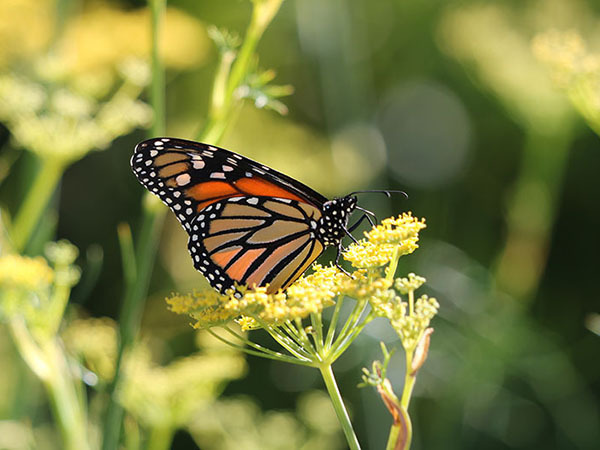 February 2018: Monarch butterfly (Danaus plexippus) eating breakfast by the Hutt River. I was trying to photograph the swallows that live by the river, but they were a blurry mess (too fast for my shutter speed! ), luckily this guy showed up. February 2018: I was pleased to meet this pair of "at risk" little black shags (Phalacrocorax sulcirostris). Crawling through mud, feeling like Owen Wilson in "The Big Year", but these two didn't seem to mind me. January 2018: Overhaul of the Centre for Minerals and Environmental Research (CMER) website to make it mobile friendly. CMER members have been doing some amazing research into how to regenerate, restore, and detox old and existing mining sites. 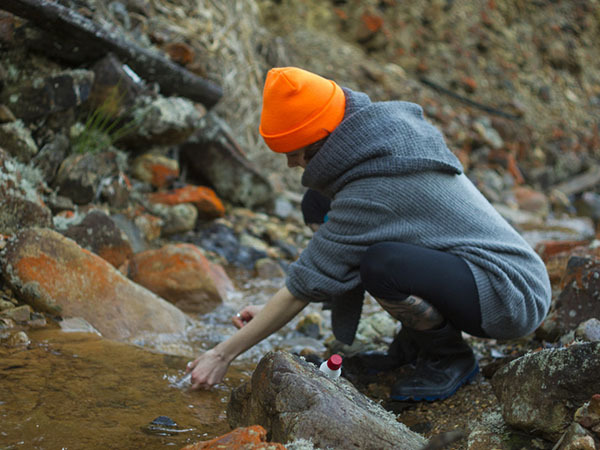 Did you know, that despite our clean, green image, New Zealand had one of the most arsenic-contaminated sites in the world at the old Prohibition Gold Mine site on the West Coast? CMER members have been involved in the research to clean it up. They are also currently working on the Bellvue Mine site near Greymouth, cleaning up acid mine drainage using, of all things, mussel shells. The results are looking good. January 2018: California quail (Callipepla californica) - naturalised and found throughout New Zealand, but very common in the Taupo Volcanic Zone. Snapped this guy in Taupo. He was with a covey of 16 birds. 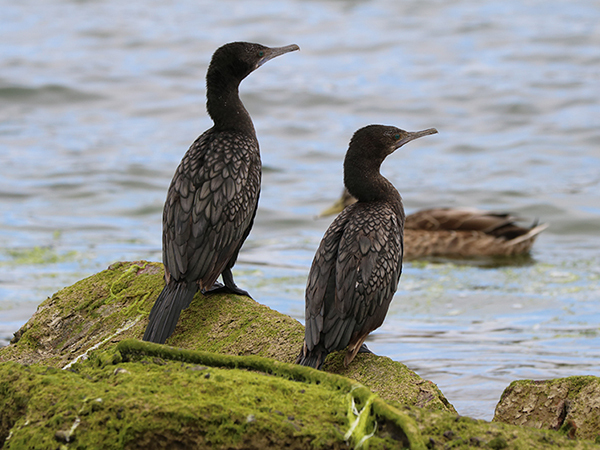 January 2018: Two little shags (Phalacrocorax melanoleucos) at the Hutt Estuary, Lower Hutt, New Zealand. They look like me and my husband after a disagreement. These guys look scruffy compared to their bigger cousins. There are always plenty around the estuary. 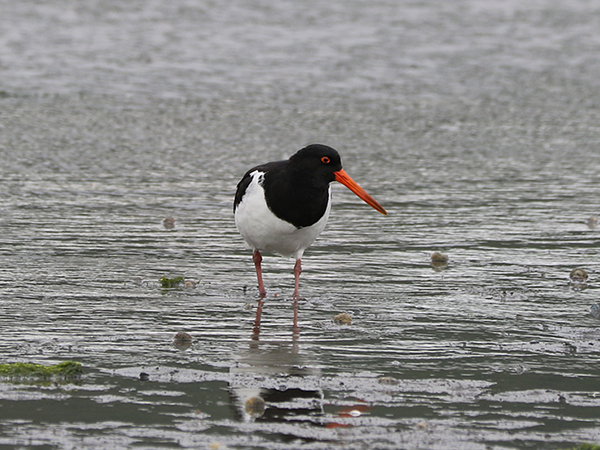 January 2019: A visit from a South Island pied oystercatcher (Haematopus finschi) at the Hutt Estuary. Nice chap. September 2018: WSP Opus have several exciting projects on the go, everything from developing roading materials using waste streams such as tyre rubber and plastics with bitumen, modifying chip seals and other road surfaces with non-bituminous materials that are less prone to water damage, to creating roads that will last for 40 years before needing replacing. 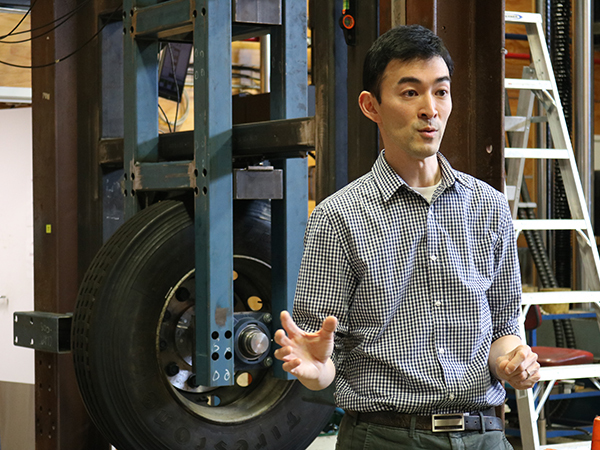 Dr Jeremy Wu gave IRANZ members and the Prime Minister's Chief Science Advisor, Prof Juliet Gerrard, a run-down on the research being conducted at the WSP Opus Research facility in Petone. Photo: Louise Thomas. 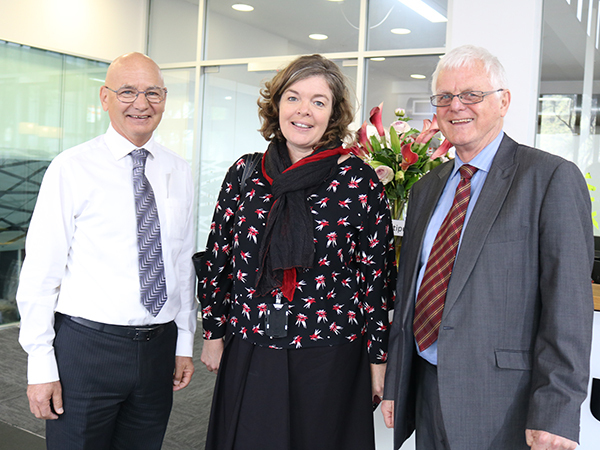 September 2018: The Prime Minister's Chief Science Advisor, Juliet Gerrard, attended the IRANZ meeting at WSP Opus Research in Petone on 13 September. Prof. Gerrard was very positive about the role of independent research organisations in New Zealand, especially their work in engaging the community with science, their practical focus, and the research work and research centres in the many regional areas of New Zealand. IRANZ Chairman, Dr John Bright of Aqualinc (left), Prof. Juliet Gerrard, and IRANZ Executive Officer, Dr Rob Whitney. Photo: Louise Thomas.